Tuesday 20th May 2014 – 3.00pm – Suzie Fothergill. 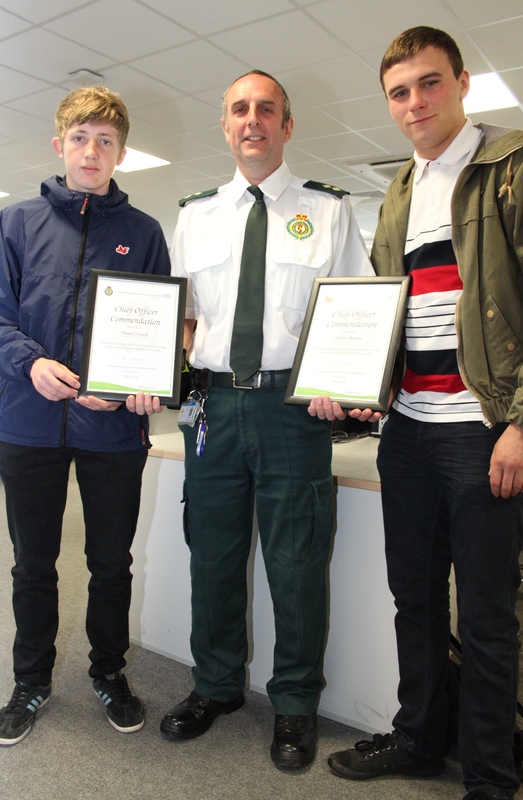 Two teenagers from St. Margaret Ward Catholic Academy in Tunstall have been praised by West Midlands Ambulance Service after stopping to help at an incident in Kidsgrove. 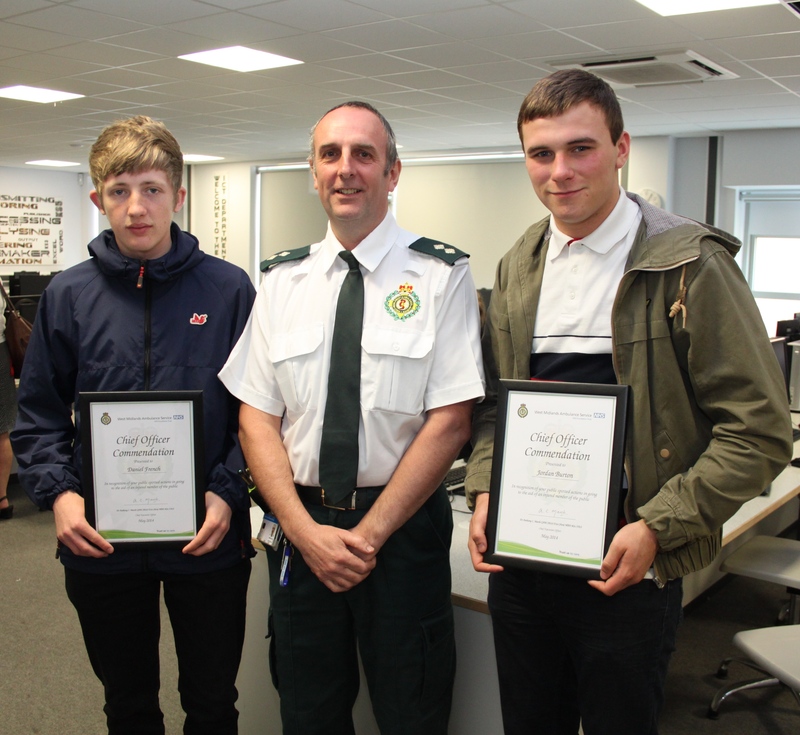 Jordan Burton and Daniel French of Trinity Sixth Form have been presented with Chief Officer Commendation Awards following the incident. The boys were en route to lessons at University Academy Kidsgrove when they witness an elderly lady take a nasty fall. 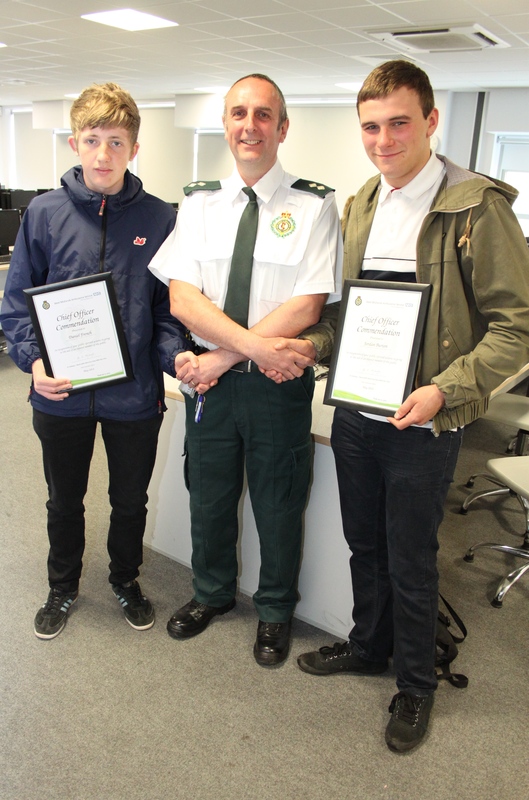 It was heavily raining on the day of the incident and without any encouragement the two boys removed their coats and covered the patient with their jackets to ensure she kept warm and as dry as possible. They stayed with the woman and her husband until the ambulance crew arrived. When the ambulance crew arrived, the two boys stayed on scene and helped to assist the crew whilst they stabilised the patient. The boys were been presented with their surprise awards during their school assembly on Monday 19th May. 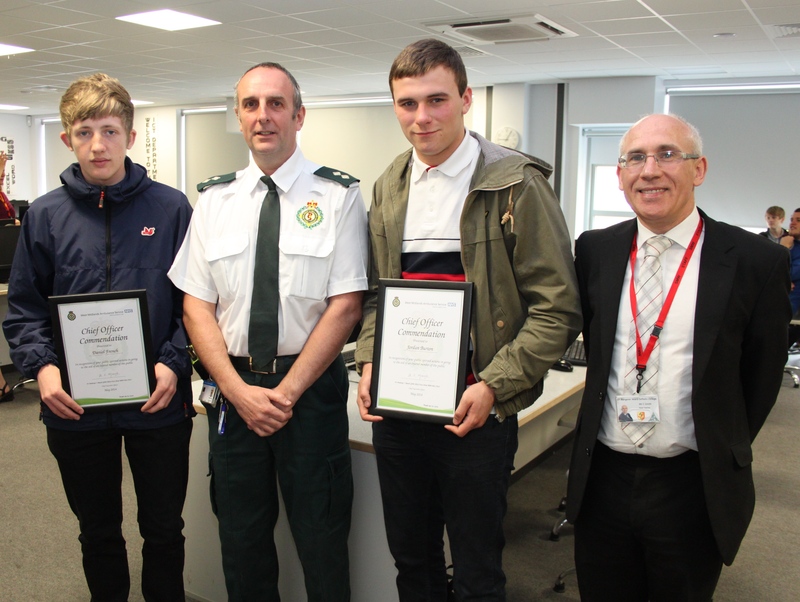 Pictured (right to left): Daniel French, John Bourne (WMAS Area Support Officer), Jordan Burton and Chris Smith (Head Teacher).